Spanning 17 years, this 35 track, two-disc retrospective is the first comprehensive overview of Marianne's recordings for the Island label, spanning 1979-95. Beginning with her stunning return, Broken English, this compilation is centred around selections from Dangerous Acquaintances, A Child's Adventure, Strange Weather, Blazing Away and A Secret Life. 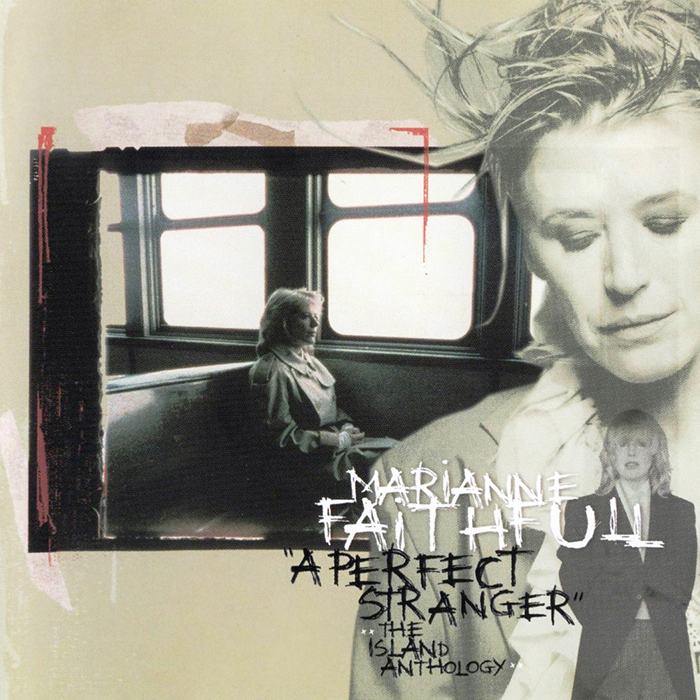 Also included are previously unreleased out-takes, B-sides and collaborations including a beautiful rendition of 'Gloomy Sunday' from the Strange Weather sessions, and tracks produced by Hal Willner and Fernando Saunders from Marianne's aborted studio album from 1988 which include the compilations title track 'A Perfect Stranger' co-written with Saunders, a powerful cover of John Lennon's 'Isolation' a co-write with Steve Winwood called 'A Waste of Time' and 'Conversation On A Barstool' written for her by Bono. 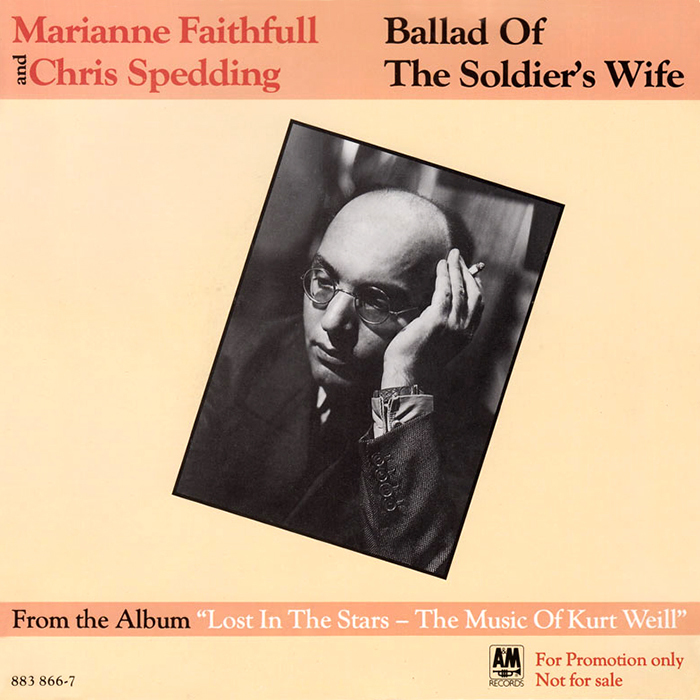 The 12" version of Blue Millionaire is only available on this compilation, and the collaborations with other artists included on the set represent some of Marianne's best work including 'Ballad of the Soldier's Wife' with Chris Spedding - her essential contribution to 1985's Lost in the Stars: The Music of Kurt Weill, 'Trouble in Mind' with Mark Isham from the soundtrack of the same name, and 'Ghost Dance' a hypnotic cover of the Patti Smith song recorded with (almost all) the Rolling Stones for an Irish Aids benefit cd. All in all A Perfect Stranger: The Island Anthology makes a fine primer for the uninitiated, and an essential collection for fans.